Every five years, Oakland charters come before the school board to defend their record and ask for board approval to continue operating. 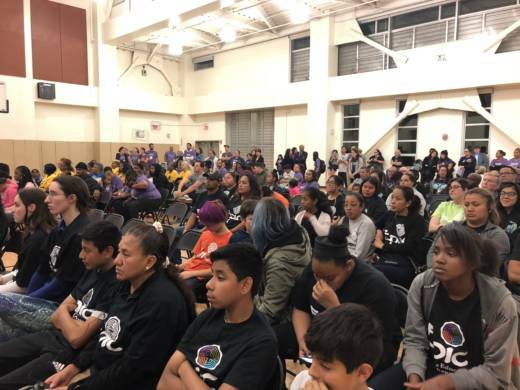 This week one of the four up for renewal, Epic Middle School located in the city's Fruitvale neighborhood, received a rare "no" vote, in what may signal a tougher approach to charters as the district responds to state pressures to close and consolidate district schools to economize. Parents, teachers and students who came to support their charter renewal Wednesday night heard the Board of Education of the Oakland Unified School District drill down on how well their schools are doing with issues such as chronic absenteeism, teacher turnover and the number of special education students served, among other data points. Grounds to deny a charter include determining it is underperforming comparison schools serving a similar student body. 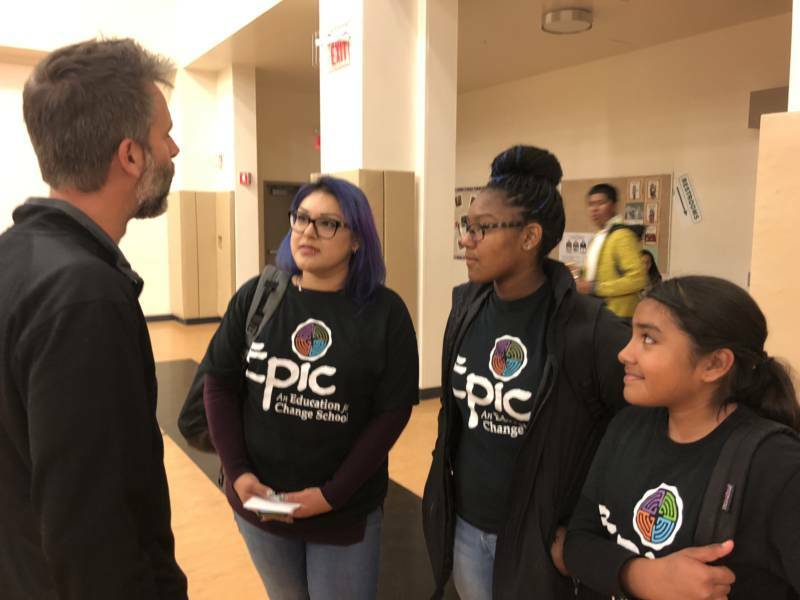 Education for Change CEO Hae-Sin Kim Thomas said Epic will appeal the board's non-renewal decision to officials at the Alameda County Board of Education. Should it be denied there, it can appeal to the state board. "We had some stumbles with the school, but in the last year and half we have outperformed comparison schools," said Thomas, who oversees a seven-school charter network. "We have chosen not to renew a charter when we recognize it's not working. This is not the case with Epic. We are making progress. We just need more time." Many believe the state's 26-year-old charter law is out of date. Outgoing state schools superintendent Tom Torlakson has appointed an action committee to recommend updates to the newly elected state superintendent. As of Friday, Marshall Tuck, backed by charter supporters, had a slim lead over Tony Thurmond, backed by teachers unions, with ballots still being counted. Gov.-elect Gavin Newsom, also elected with the support of teachers unions, may bring a different approach toward charters. Board member Shanthi Gonzales predicted that if Epic appeals all the way to the state, it may find a different political welcome. "When they go to the state board they're going to be facing a different group of people appointed by a different governor. So we'll see, we'll see what happens if they appeal all the way to the state." The Oakland district is struggling to get its fiscal house in order, and has laid out a plan that includes reducing the number of schools overall in the district. Gonzales said when it comes to evaluating charters, she has a higher bar now. Parent activist Lakisha Young said the board should not be taking away choices for parents who are looking for ways out of their underperforming neighborhood district-run schools. Many of the charters up for renewal this week were showing just 20 percent of students meeting or exceeding state standards. But Young said even that is better than some neighborhood schools in East and West Oakland, such as Lafayette Elementary, with zero percent meeting standards in reading. "We are debating scraps! We are talking about 20 percent proficiency," said Young. "But for some of us that is our best option. So you can't take something away when you don’t have something better to offer." Young added, "Where do those families go? They don’t have better options. Until you can figure out how to move this whole system towards quality, you’re not in a position not to renew any school." The board will review three more charters up for renewal next week.